Hong Kong is a metropolitan and also a shopping paradise.? Tourists coming to Hong Kong will easily find themselves lost in the shopping centers, shopping malls and market places. Transport in the city is convenient. ?It is easy to reach the shopping centers by whatever transport means such as MTR, buses and taxi.? However, in order to save your precious time, you need to be focused at looking for the right shops.? Hong Kong is famous for good quality merchandise, clothing, electronics, spectacles, toys and souvenirs and many many others.? You will enjoy very much in shopping in the city especially if you are a shopaholic. Ocean Terminal ? It is near the southern part of the adjacent shaft TST Promenade ferry (Star Ferry).? Most tourists spend their time there. ?There are shops, malls and restaurants.? The malls are spacious and when you are tired, you can easily find some caf? or restaurants to take a little rest and then?.SHOP again!! Harbour City ? It is a huge shopping mall where you can find various shops, quality brands and merchandise, clothing, sport wear, children?s clothing, restaurants, beauty parlors and more? ISQUARE ? It is a new shopping mall opened in 2010 at the southern part of Nathan Road.? Its outlook is modern and of style.? Besides shops and restaurants, there is a 3D cinema inside the building which is the first ever US style multiplex cinema in Hong Kong.? Besides, the Imax experience which the cinema offers is also the world?s most immersive movie experience. Ladies Market ? The market is active from afternoon to midnight.? There you can find bags, paintings, t-shirts, watches and various accessories and souvenirs and many many interesting stuffs.? On the street parallel to it, you can find many sports shops where you can but sports wear, shoes, rackets etc which are original brands. Temple Street Night Market ? It is a colorful and large market where many shops and stalls are located on both sides of the Temple Street.? In addition, there are also many eating places and food stalls where you can enjoy local food. IFC ? The mall was built at the foot of a skyscraper in the heart of the city?s business centre.? There are luxurious shops and from the foot bridges connecting to the building, you can walk to various famous commercial buildings and shopping malls such as The Landmark, Prince?s Building etc where you can find almost all of the most expensive brand names? shops. 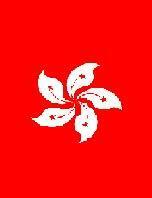 It is situate in the south eastern part of the Hong Kong Island, a bit remote from the Central.? ? The market is open from late morning till evening (before 8 pm).? There you can find lots of souvenir of Chinese style such as Chinese custom stamps, shirts, clothing, shoes, toys and Kashmir shawls.? There are also outlets where you can find ski clothing and clothing of brand names at cheap prices.? However, there may be some fake ones and it all depends on your luck!? Generally, you can buy some clothing of quality if you do not mind whether their brand names are real or not. How to get there: There are buses from Central (Nos.6, 260) and from Sai Wan Ho (No.14) and their schedules are quite frequent.? If you wish, you may take a taxi from Central just to save time. Citygate Outlet Mall ? It is the only outlet shopping mall in Hong Kong situated near the airport and is a huge shopping mall of discounted brand named goods. ?If you take the subway (MTR), it is at the last stop of the orange line ie. Tung Chung station.? There you can visit more than 80 international brand names which offer attractive year-round discounts of 30% to 70%. Since it is only 10 minutes away from the airport, maybe you can enjoy the last minute shopping before you leave the shopping paradise. The city is full of electronic stores where you can almost find all the latest models of different brand names and various products.? Of course, there are also department stores, large chain stores and thousands of shops around the town offering electronics and appliances.? For prices, you can always find the latest models at attractive prices.? So, for merchandise which you can find in your country, you should find out the price at your home country and compare the price of the same merchandise in Hong Kong before you decide to buy.? You will usually find them much cheaper in Hong Kong.? There are also some reputable shops that most Israelis living in the city or Israeli tourists will buy from them. We recommend you to buy electronics in reputable stores. ?There are many electronic stores that sell fakes or not original products.? You should not go into a store that does not display its name, but only presents brand names such as Sony, Panasonic, Canon, Minolta, etc? Possibly, there must be a reason why they do not show the names of the stores.? Those stores have a way to attract tourists ? that is with products of prices which are much cheaper than the market price.? But, when the customers go into the shop, it will turn out that the model they are looking for is out of stock and a similar model, or worse product will then be recommended. Many tourist take their opportunities of their stay in town to buy glasses [multi Pokl].? The prices are relatively cheap and nearly a quarter of the price in Israel.? It is important to make sure that you go into a reliable store and check everything is fine before you pay.? Reliable store which is popular among Israelis in Kowloon is SWISS.